Hot on the trail of vanishing professions, one such profession has got to be farm workers who juice cane. 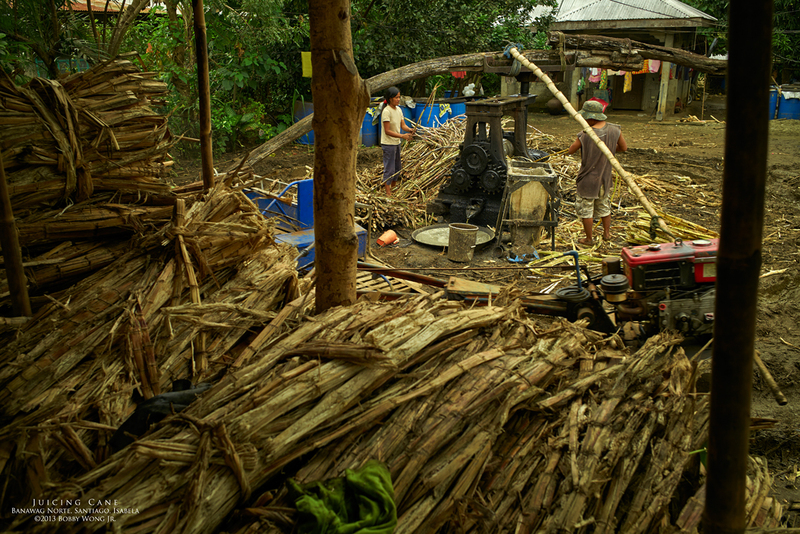 They hand-feed stalks of sugar cane into a mechanical press that squeeze the cane water into a pan. The juice will be turned into muscovado sugar and the spent stalks will be used as fuel for the cooking process. The mechanical press used to be powered by a real carabao, but today they're using a farm tractor in auto-pilot mode. One day they will no longer juice cane this way, so we hope this photograph remains a fond reminder of how it was once done. Enjoy. We drink it from time to time when in China, but it's way too sweet to have it daily.